Contact us to get a custom estimate for your project. Find out more about us and our services by contacting us today! Stop by for a visit! Click here for directions to our office. Thomas Roofing is the roofing division of Thomas Industries, Inc. To learn more about our General Contracting division, please visit our website: www.thomasconstructional.com. 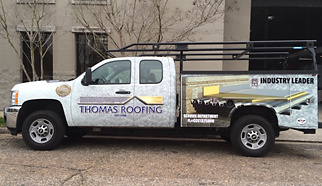 Thomas Roofing is the area’s leading provider of roofing, sheet metal, waterproofing, and restoration services. Commercial, institutional, industrial, healthcare and residential markets along the Gulf Coast regions of Alabama, Mississippi, Florida and Louisiana rely on our expert craftsmanship, commitment to quality and attention to detail. 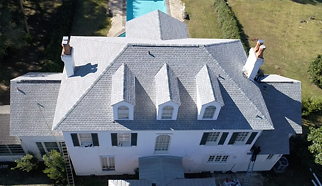 Since 1968, Thomas Roofing has maintained a commitment to the highest standard of performance at every level, with client satisfaction being our primary concern. We understand that our success depends on our ability to work as a team by providing a seamless approach to each project. The loyalty of our employees and the longevity of our workforce is a major contributor to our reputation for excellence. Our commitment is to grow and expand into new markets to meet the roofing and construction needs of communities across the region while keeping our clients No. 1. Our team knows the importance of developing and implementing new technology, and our forward-thinking approach and consistent employee training programs will continue to help us respond to our clients’ needs with the best solutions available. 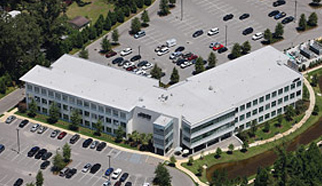 Thomas Roofing will remain steadfast in our investment to strengthen our performance, business practices, personnel and products to maintain our record of quality, durability and reliability. This ongoing commitment to excellence is what sets us apart from the rest. Thomas Roofing is a customer oriented family business that strives to be the best, most professional provider of roofing services in our region. We value our employees, clients, vendors and the communities in which we live and work. Integrity, quality, safety and customer satisfaction are the core values that drive our decisions. Welcome to our blog! Here we will post about our products and services, projects we have been working on, and news from our industry. Please come back again soon! ~ J. Bradley Donaghey, James B. Donaghey, Inc.